Foreign-funded Russian NGOs involved in political activities must register as foreign agents. 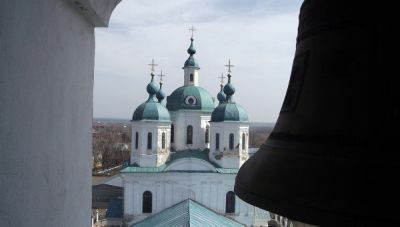 Since the Orthodox Church receives funds from its foreign dioceses, it is concerned it might come under closer scrutiny. Failure to register could mean fines and up to four years in jail. Moscow (AsiaNews) – The Russian Orthodox Church could be affected by a controversial bill that requires foreign-funded NGOs involved in “political” activities to register as “foreign agents” or risk hefty fines and imprisonment, this according to Mikhail Fedotov, head of Russia’s Presidential Council on Human Rights. The latter is currently vetting the draft law, set to be introduced in the Duma (Russian parliament) next Thursday, but which could become law as early as this fall. According to the bill, Russian NGOs that engage in political activities, act for foreign powers or foreign donors, or receive foreign funds must be register as “foreign agents,” display the label “foreign agent” on their website and publications and subject themselves to closer government scrutiny. If an NGO fails to register within 90 days of the law’s coming into force, members could face four-year prison terms and 300,000 ruble (US$ 9,300) fines. NGOs now fear a government crackdown. For the Kremlin, they have always been a destabilising factor in Russia. United Russia Deputy Alexander Sidyakin, who drafted the bill, the goal is to prevent foreign governments from interfering in Russian domestic affairs. He insists that his bill is inspired by international practice, citing the United States. The bill has Kremlin support, the Vedomosti newspaper wrote. In December, when protests broke out following allegations of fraud in the presidential election, then Prime Minister and frontrunner Vladimir Putin accused US Secretary of State Hillary Clinton of instigating unrest. For Human Rights Watch, the measures are “clearly excessive and unnecessary,” pointing out that all Russian NGOs already publish financial reports, as required by Russian law.